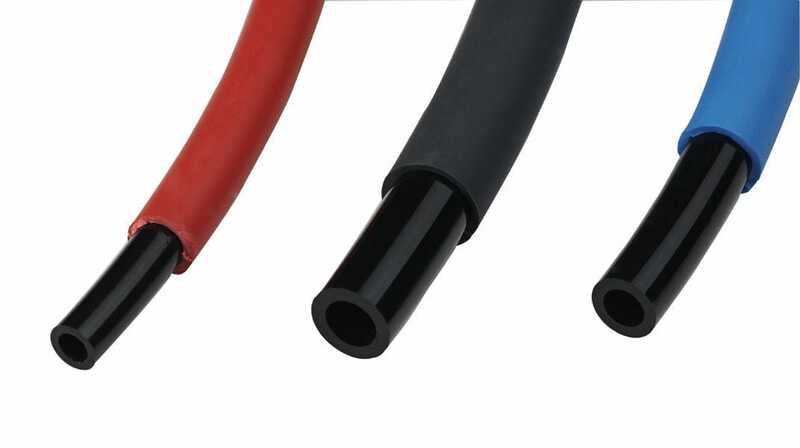 Double layer is a spark resistant hose in flexible polyamide. It is strengthened by an external coating in fireproof polyurethane to improve its resistance to sparks and welding slag. The external layer can easily be removed for use with push-in fittings using the appropriate tool.